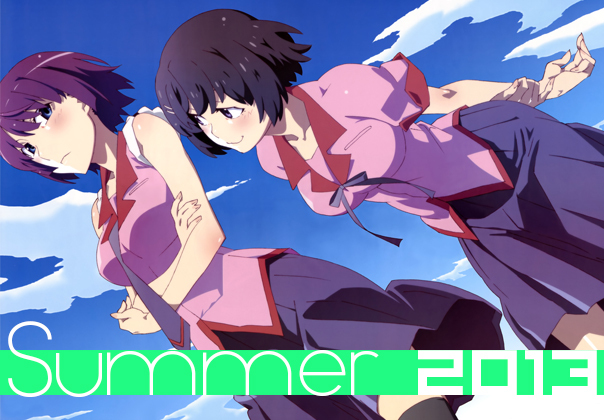 For many of us Summer means hot temperatures, cold drinks, and lots of B-list anime. 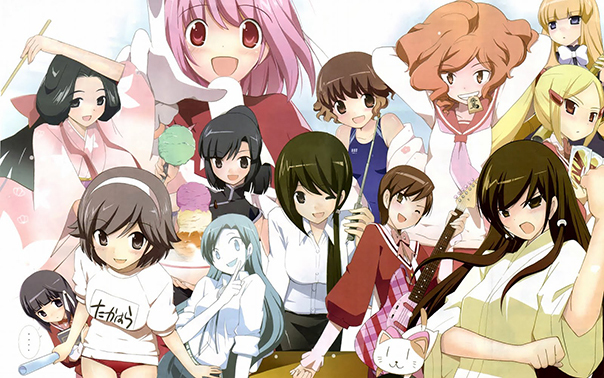 While historically not the strongest season of the year, this Summer sees the return of some heavy hitters like Rozen Maiden, the Monogatari series and The World God Only Knows, as well as an assortment of other oddities that just might be good. And so for your convenience, we have compiled this handy guide of the shows we’ll be taking a look at (hint: it’s just about all of them) and hope you’ll stick around for our upcoming first impressions. Stop me if you’ve heard this one before: dude who loves books dies trying to save a girl and is reincarnated as a dog. He must now suffer with the fact that he can no longer read as well as his new master – a sadistic girl that seems to have a thing for scissors who, of course, also happens to be the girl he saved. They just keep making this one over and over again, right? Joking aside, the premise doesn’t sound particularly good or bad but it is different enough to warrant a look. I’m more concerned with the production quality in the trailer, which is not very impressive to say the least. The intrepid Lifesong will be tackling this one with an open mind. 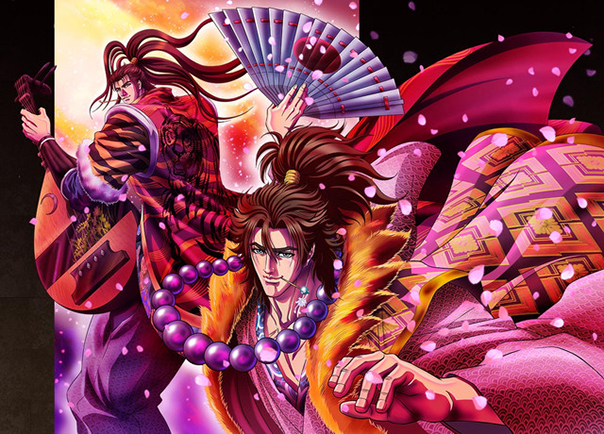 We’ve had plenty of Sengoku era warlords re-imagined as cute girls, but what about by the guy that brought us Fist of the North Star? The only other detail I can tell you is the two starring warlords are Maeda Keiji and Naoe Kanetsuku, and that’s probably all you need to know. For flamboyant men fighting, we call in Zigg. Despite the sub title, a new season of Tamayura seems like the least aggressive thing imaginable. Presumably this will continue the story of a girl whose interest in photography helps her make new friends and cope with the problems in her life. Did I get that right, Aqua? He knows more about this than any of us, so he’ll be tackling the new season. There’s a lot of attention surrounding Free! and unfortunately not much of it has to do with the show itself. I’m going to just skip the controversy (which is dumb and pointless) and say it gives off a very similar easy going vibe to any other Kyoto Animation production, it just happens to star some good looking dudes on a swim team as opposed to say, cute girls in a pop rock band. The story is based on another runner up for KyoAni’s light novel prize (an honor also held by Love, Chunibyo & Other Delusions and the upcoming Kyoukai no Konata), so it’s quite possible this could be a more substantial title than people are expecting. As a big fan of their post K-ON! work, I’m also interested to see what their younger talent from sub-studio Animation Do can bring to the table, so I’ll be jumping in for this one. The initial season of Symphogear had something of a mixed reception, but it looks like enough people were into it to merit another run. The new series sees the return of the singing idol mecha musume warriors as they will apparently square off with a rival group. I found the original to be a little too silly (despite being deadly serious) for its own good, but I must admit that sounds pretty fun. On the other hand Lifesong is all over this, so he’ll keep us posted. Rozen Maiden’s story about an emotionally hurt boy and his fighting dolls was a pretty big deal awhile back, but other than the occasional over pronouncing of “desu” I’m not sure the years (about seven or so since the last anime release) have been kind to the show’s legacy. This new series looks to breathe life back into the franchise, and rather than a continuation all signs are indicating this will be starting over fresh with a new version of the story. Surprisingly, Zigg was a fan of the old series and is looking to forward to taking this on. I want to just say Servant x Service will be Working!! : Office Edition considering it’s based off another 4koma by the same author. The story is about a relatively serious woman working at a government office with a bunch of undoubtedly oddball characters so yeah, hard not to make the comparison. Working!! (which I refuse to call Wagnaria!!) was something of a sleeper hit and I do like the potential of something with an older cast, so maybe this will turn out alright. Having actually seen both seasons of Working!! and liked them, we’ve chosen Marlin as the best man for the job. Yet another school girl slice of life anime based on a 4koma where the girls do nothing, except this time they form a club for it… oh wait, pretty sure that’s been done too. I’m not even sure this will be a full length series, but I guess we’ll find out. You can probably tell I’m due for a break from this type of show, so I’m delegating this one to Lifesong. In Dangan Ronpa, students are trapped in a school where they must commit a murder and not get caught if they want to leave. Once the murder is committed, there’s a trial to find out who did it. That and the fact there’s some kind of Black and White bear guy is pretty much all I know, but fortunately Marlin is pretty familiar with the game and he’ll be on the case for the anime. With many key staff members departing to form Studio Trigger and leaving a string of middle of the road adaptations in their wake, the once great Gainax has certainly seen better days. Cute girls carrying out elaborate military operations seems to be its own genre these days, so C3-bu just may be the thing to help them back on their feet. The manga is about an all girl airsoft gun club, but whether or not this turns out to be the next Girls und Panzer or simply K-ON! with guns remains to be seen. As our official weapons expert and a closet Upotte! fan, Gee will be taking aim at this one. Love Lab, or RABU RABU if you will, is a story about a group of middle school girls who may or may not be ironically pigeonholed into various anime character types. You know, tsundere and meganekko and what not. They also probably attempt to make out with each other. I’m already calling this Yuruyuri 2.0 so no one steal that for their First Impressions verdict. Lifesong, save us! Having ditched the portmanteau titles and established this as the “Second Season” through some sideways logic, the marginally vampiric Koyomi Araragi and his supernatural anti-harem are ready for more Monogatari. Was that a pretentious enough introduction? Seriously though, we are on track for another two seasons of NisioIsin’s meticulous dialogue and Shinbo’s scandalous directing as each of the girls gets a second story arc. As I tend to already ramble about how much I love this series enough as it is, I’ll be handling our coverage. A girl from Japan who stayed in Britain finds out the British girl she stayed with is coming to Japan. No doubt culture shock hijinks will ensue. Looks like they’re going for super cute, maybe even precocious, in the trailer but it’s kind of odd considering the girls are supposed to be high school age. Clearly none of us lawless Americans are capable of covering this show, so Zigg will honor his duty to Queen and Country and pick this up. As an anime original, not too much is known about this series beyond magical girls with elemental tarot card powers. I’ll admit the action and animation look solid and I like the bold, bright colored visual design. I just can’t help but think this is going to be an attempt to rip-off Madoka’s dark magical girl vibe and those character designs look like total lolicon bait. I’d love to chalk that up to a stylistic choice a la Disgaea or something, but the opening scene in this trailer makes me think otherwise. Aquagaze will be reluctantly checking this one out on the off chance this may surprise us. Who makes a fighting doll anime the season Rozen Maiden makes a comeback? I guess these guys do. Despite looking like some kind of game or toy tie-in, this is apparently an original series. At least the dolls look like normal girls, I’m not sure I could handle another Busou Shinki-style jointed fairy nightmare. Not sure this will pan out to anything more than cute girls slugging it out, but Lifesong will be checking it out to be sure. Fifteen years ago, humans stopped dying and giving birth, leaving it up to “Gravekeepers” to help the dead find peace. I’m assuming that means they can kill them? Not really sure, but the premise certainly sounds interesting enough. While I’d love to see a subtle, nuanced reflection on accepting death, the trailer looks like a bunch of Key visual novel characters fighting with fancy spears. That could be cool too I guess. Elaborate light novel adaptations are almost automatically assigned to Lifesong. Okay, I’ve tried to piece the plot of this together, this is what I got: some dude accidently discovers its his job to choose the stand-in ruler of Hell and the various candidates for the job vie for his affection nomination. If the trailer is to be believed, it will probably be an excuse to get pretty elf dudes almost making out. Seeing as I’m already tackling Free! and BROCON, I’m going all in with the hot guys this season and picking this one up. Based on a novel by Tatami Galaxy author Tomihiko Morimi, Uchouten Kazoku is a story about a Tanuki family living in a world where youkai freely mix with modern human society. Anyone else think of Pom Poko? While I didn’t care for Tatami Galaxy, I’ll admit the premise along with P.A. Works’ top notch production values has me intrigued. Iro will be taking this one on the off chance we may be on to something he doesn’t hate. “Evil supernatural ruler of the demon world turned anti-hero” seems to be this year’s “trapped in an MMO”, and Blood Lad may just fit the bill for this season. Our hero is a top ranking vampire who also happens to be an otaku obsessed with the human world. He promises to help a human girl, who was killed and turned into a ghost, gain back her humanity and return home. I’ve been having fun with Brains Base’s recent comedies and I’m kind of hoping this will be the bizarre type of comedy I was hoping to get out of the Devil Is A Part Timer, so I’ll be taking this on myself. In case you missed the two part Tenri OVA a few months back (it’s OK, you’re not the only one), the TWGOK saga continues as the Goddesses enter Keima’s arena of romantic combat. I don’t think they’ll be too many surprises here as we get another batch of cute girls to woo and the occasional twist to the formula of the first two seasons. Despite being the guy with the Keima avatar I’m entrusting this to Marlin, romantic connoisseur and TWGOK fan that he is. No Matter How I Look At It, It’s Your Guys’ Fault I’m Not Popular! This story about an otome-game-obsessed girl’s quest to become popular has been a big hit with 4chan (interpret that as you will), and looks to make the leap to anime form. I’ve heard the term “cringe comedy” thrown around as our heroine often finds herself caught in awkward social situations. I’m always in the market for more comedy, so I’ll give this one a shot. A city boy trying to get away from his family attends agricultural school and quickly learns you can’t just study your way into farming. City boy in the country stories have been around since the beginning of time, so it will be interesting to see an anime spin on it. Gee has been playing a lot of Harvest Moon the past couple of months and felt compelled to pick this up. I’ll admit there’s a certain charm to the idea of game consoles anthropomorphized into cute girls and duking it out in a literal console war, but I’m not entirely sure how much of that actually happens in Neptunia. Still might be worth a look though, couldn’t be any worse than In The Center Of The Blue World. Amazingly, not a single member of the Glorio crew has really played a Neptunia game, so Timmy will be picking up this one. The re-imagining of Fate/Stay Night’s Ilyasviel von Einzbern as a magical girl. That’s pretty much all you need to know. I am actually quite surprised to see how serious the trailer is. Maybe they’re going more for a Nanoha vibe (which itself was a spinoff) than a Carnival Phantasm-style parody? I know that might be disappointing to Iro, but with his encyclopedic knowledge of all things Type Moon he is the best man for the job. Through various unimportant circumstances, our main character has a girl his age, that he is not related to, move into his house as they both start high school. This no doubt leads to DRAMA as our main dude is interested in another girl. Sounds like a pretty dull setup but good romance is more about writing and dialogue than actual plot, so maybe this will work out. Naturally, Marlin will be taking this one and keeping us posted. This is a really intriguing project, both because it’s reviving a classic franchise and the fact that everything we’ve see of it so far has been a vast departure from the original. The new character designs look really creative, and I love the switch to a female protagonist. 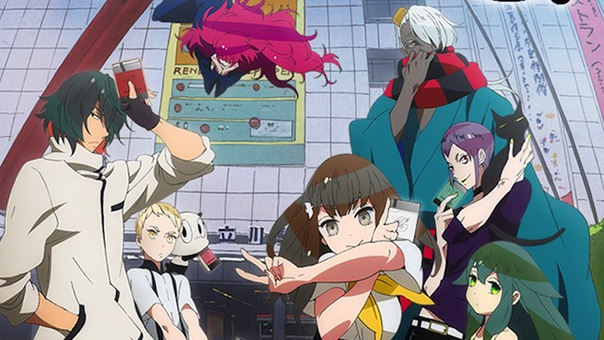 I couldn’t help but think of Casshern Sins when I first heard about the series, although at first glance it doesn’t look like this is going for the super depressing angle. Not much else to go on at the moment, not even a trailer, but we’ll be handing it off to Zigg to find out more. So what do you think? Is the Summer season looking strong or is this a good time to catch up on your backlog? Let us know what you guys are looking forward to, and we’ll be letting you know what we think of the new shows in the next couple of weeks. Looks like a good season. Hopefully the NSA will keep backups of Monogatari and TWGOK that will last through the centuries. I don’t know that this upcoming summer anime season will be the strongest of the year, but there’s certainly enough going on that I don’t think I’ll be bored. So far there are 7 shows that I’ll be checking out from the get-go: Brothers Conflict, Free!, Gin so Saji, Kamisama no Inai Nichiyoubi, Kiniro Mosaic, Makai Ouji: Devils and Realist, and Servant x Service.